Analyzing city data: What’s customer service got to do with it? What Works Cities Blog Post: Analyzing city data: What’s customer service got to do with it? Assistant to the City Manager Laura Graham shares how Des Moines’ new partnership with What Works Cities will help the city focus on analyzing its data to better understand and meet residents’ expectations. October 28, 2016 – Sometimes, as city employees, we get so carried away by our day-to-day work that we become removed from the core component of our organization: the customer. This isn’t intentional. Employees are hired into roles specified by their field of expertise. We get busy working on projects, and before we know it, we haven’t engaged the public or ensured we have resolved an issue to the satisfaction of our residents. You won’t find “customer service” in the majority of our job descriptions because much of managing a city is done behind the scenes. Yet we know our community builds trust through its interactions with elected officials and city staff. So why doesn’t the City of Des Moines have a Customer Service Department? Businesses have them. They train their staff on how to interact with customers, ask them to take surveys, and work tirelessly to resolve issues. They have an infrastructure and a culture that depends on customer satisfaction. Don’t cities have the same customer-driven model as a business? The model is in place, but customer service skills are often too focused on the front lines and don’t necessarily touch employees at all levels in the organization. Des Moines has 210,000 customers with differing wants and needs. How do we begin to understand and identify ways to measure how we are meeting each of their demands for the services we provide? 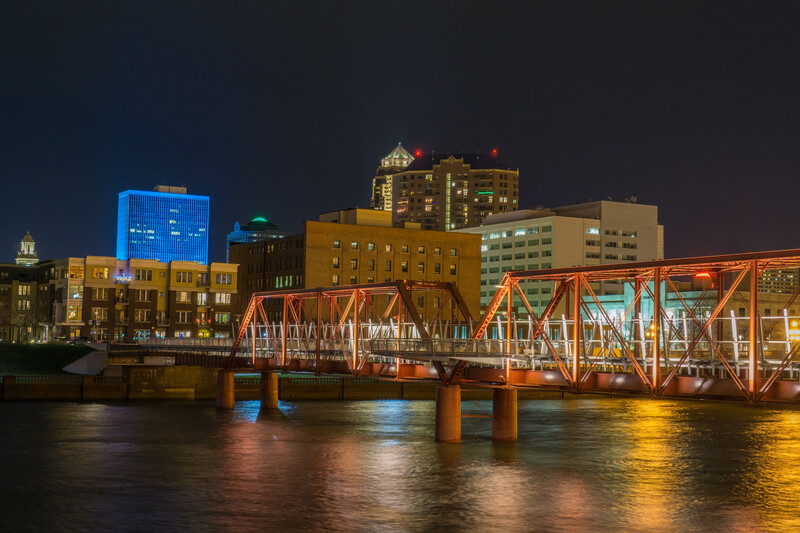 Des Moines has a secret, and I think you’ll find most cities do, too. We collect a lot of data. We can tell you the median household income for the city ($46,430). We can tell you how many lane miles we touch each snow fall (710). We can tell you how many building permits were issued in 2015 (2,813). But we don’t do a very good job at consistently analyzing the data we collect—yet. As an example, we survey residents on how satisfied they are with the services provided (64%) and the level of engagement they have in decision-making (38%), but what do we do with those ratings once we have them? How do we improve those daily interactions so that their satisfaction levels increase? How do we dig deeper to understand what a successful delivery system looks like? For Des Moines, it starts with the Council’s Strategic Plan. In 2015, the City Council adopted its first-ever strategic plan, Guide DSM, which identified five core community goals. This was done in coordination with the newly hired City Manager as a way to bring the ongoing departmental work and the vision of the Council’s leadership together. As we officially come on board as a new What Works city, we are really excited about working with two of the initiative’s partners, the Center for Government Excellence at Johns Hopkins University and the Sunlight Foundation. Together, we will find means to layer our existing data and engage the public in ways that allow us to better understand residents’ expectations and how best to measure our progress on our strategic goals. And we look forward to reporting back to the community in a meaningful and effective way.